West Coast Motors is one of 23 bus operators to benefit from the Smart Pay Grant Fund. Nearly half a million pounds has been awarded in the first round of the fund to help firms cope with the costs of upgrading ticket machines to accept contactless bank payments. The cash has been awarded from the Scottish Government and European Regional Development Fund. It is estimated to provide a contactless payment solution to potentially 4.5 million fare paying journeys right across Scotland. The fund builds on the successful rollout of contactless payment by the country’s largest operators and responds to feedback from smaller operators around the financial barriers to upgrading. The Scottish Government’s vision is that all journeys on Scotland’s public transport networks can be made using some form of smart ticketing or payment by spring 2019. Commenting on the first awards, cabinet secretary for transport, Michael Matheson said: ‘Contactless payments make it easier to access travel in Scotland and I am delighted we have been able to support up to 23 smaller operators in making the transition to this convenient payment solution. ‘This government is committed to supporting the industry and also people right across the country who choose to travel by bus. ‘By helping smaller operators with the financial costs of upgrading to contactless payment, customers will benefit from quicker and easier transactions, whether by card or by mobile phone. 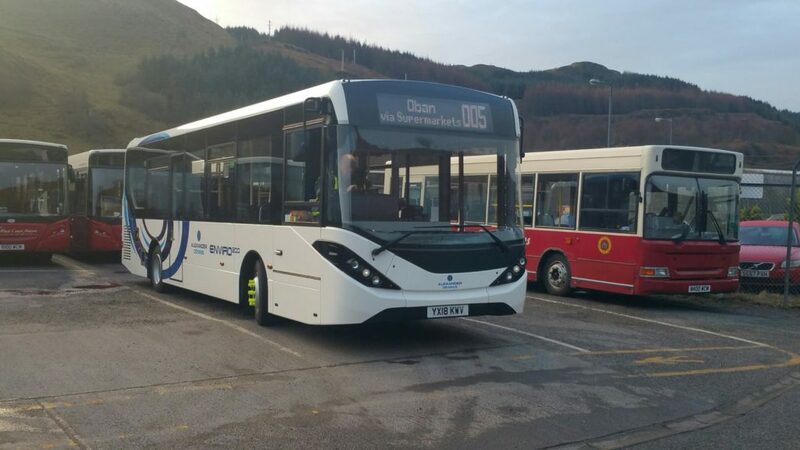 Keith Shand, Assistant Operations Manager at Garelochhead Mini Bus and Coaches, said: ‘Modern day society expects to board a bus and not have to carry the correct change. The Courier emailed West Coast Motors for a comment but no-one responded.